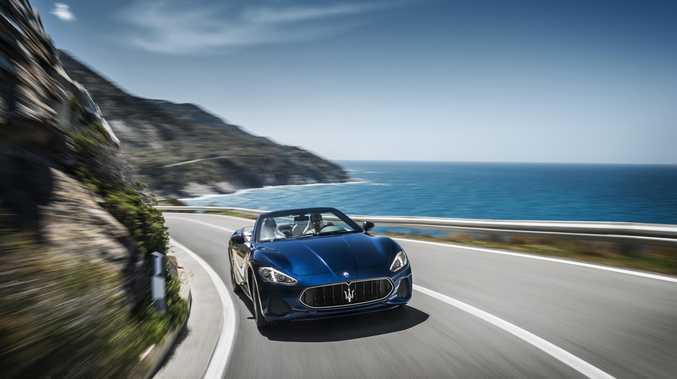 In late 2012, at the beginning of Maserati's recent period of rapid sales growth, then-boss Harald Wester laid out the brand's grand expansion plan. The new Quattroporte would be followed into showrooms by the equally new Ghibli sedan and Levante SUV. All this, in time, came to pass. 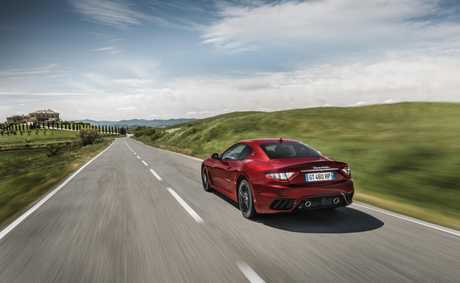 The German-born exec, who was replaced as head of Maserati (and Alfa Romeo) last year, said the GranTurismo coupe would be next in line for replacement. At the same time he said the GranCabrio convertible sibling would not live beyond 2015. So it's a surprise to see facelifted versions of these closely related four-seaters going into production in 2017. 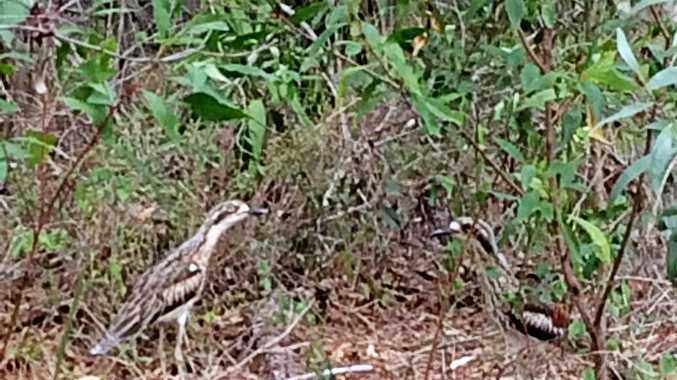 It will be early 2018 before they reach Australia. Were the GranTurismo and GranCabrio human, they could apply for a senior's card. The coupe is 10 years old, the GranCabrio three years younger, and the facelifts mean they'll be in showrooms for at least another two years. "So, we are late,” says Maserati public relations chief Davide Kluzer. 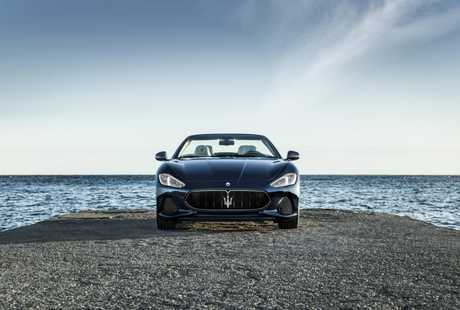 He says the company now plans to present all-new versions of the GranTurismo and Gran Cabrio in 2018. Presenting and producing are not the same thing - at the earliest, don't expect to buy a new GranTurismo or GranCabrio until 2019. Maserati hasn't invested huge efforts in the stopgap facelifted Grans. The front and rear bumpers are new, as are the headlights, while the interior has been redesigned to accommodate a big new central touchscreen display that incorporates a reversing camera. Mechanically, there is very little change. In fact, Maserati has greatly simplified the coupe and convertible line-ups. It's dropped the single-clutch sequential transmission that went into the sportiest versions, to instead standardise on the ZF six-speed automatic used in the others. (The Quattroporte, Ghibli and Levante have a ZF eight-speed automatic). Also gone is the 4.2-litre version of the non-turbo V8 that was sold in some markets around the world, although not Australia. The only remaining engine is the 4.7-litre V8, its peak power figure of 338kW unchanged. It's not hard to understand why Maserati has done so little with the pair. As with some others that built a reputation on sleekly sporty cars and race circuit success, the trident brand these days sees chunky and high SUVs as the key to a profitable future. The switch of focus worked for Porsche and it's working for the Italian brand, too. Maserati's situation in Australia is typical. The Levante accounts for much more than half the cars the brand sells here. The arrival of the SUV is behind a 46 per cent increase in Maserati sales this year compared to 2016. 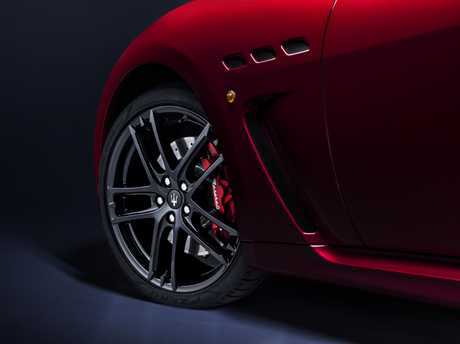 At the same time, sales in Australia of the GranTurismo and GranCabrio have fallen by 46 per cent. 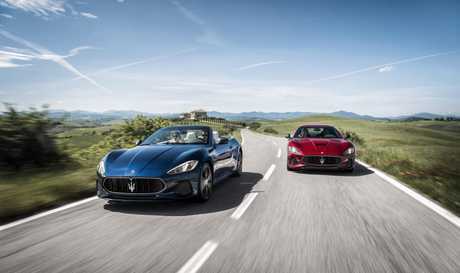 They might be old but the facelifted coupe and cabrio are proper Maseratis. Penned by fabled Italian design house Pininfarina, the GranTurismo and GranCabrio are still very good looking cars. And Maserati executives say research shows that looks are the main reason for purchase. The unchanged 4.7-litre V8, built for Maserati by Ferrari, remains a great engine. It's a reminder of how much better non-turbo engines sound and feel to drive. 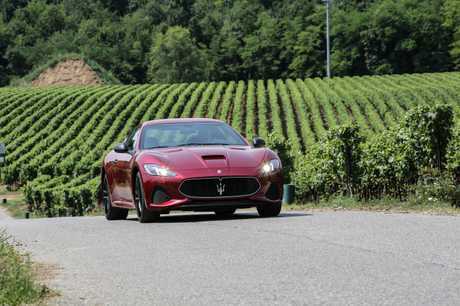 In other ways, however, the GranTurismo and GranCabrio pair are beginning to show their age. The coupe isn't among the sharpest corner-carving tools and the convertible suffers from a conspicuous lack of body rigidity. And the six-speed automatic can sometimes blunt the otherwise sharp responsiveness of the V8. The 2017 Maserati GranCabrio and GranTurismo. The Maseratis also lack some of the driver-aid and convenience features now commonly found in younger competitors. Prices of the facelifted models will change little, according to the Australian importer. The less costly Sport and top-of-the-line MC versions will come to Australia, wearing estimated $300,000-$360,000 tags.